I haven't always thought of myself as an artist. If I look back on the earliest designs that I did, the ones where I barely varied from the pattern in a book or magazine, the ones that used cheap materials, the ones that I wouldn't be caught dead wearing today, I realize that I have come a long way. For me, a lot of my growth happened right here on Art Bead Scene. I recall being mesmerized by the entries on Flickr each month and that gave me the vision that I wanted to play with these people. Being connected to this amazing group of people worldwide helped me to jump out of my comfort zone, to push boundaries for myself, to try something new and to see that my jewelry could be more than just a pretty shiny thing, but could be inspired by art and become art itself. It didn't happen overnight for me, this shift in my thinking, but once I had that vision in my head of where I wanted to go, I knew that I was constantly striving to elevate my jewelry designs to something more special than just sparkly, to make them truly works of wearable art. So I sat down and thought about some of the things that I thought helped me to elevate my jewelry beyond the dime-a-dozen-home-party-mass-produced-department-store-jewelry as well as elevating many of my friends' designs as well. These are just my opinion and based on my own experience, you may agree or disagree. I invite you to further the discussion in the comments! ﻿﻿﻿﻿﻿﻿﻿﻿﻿1. Create in Limited Quantities: Instead of creating one in every color or dozens of the same, limiting your offerings to a finite number or one of a kind makes it special. There are times where it is appropriate to creating multiples, but perhaps you can find a way to make even those more unique, like in limited colors, or once they are sold they won't be made again. 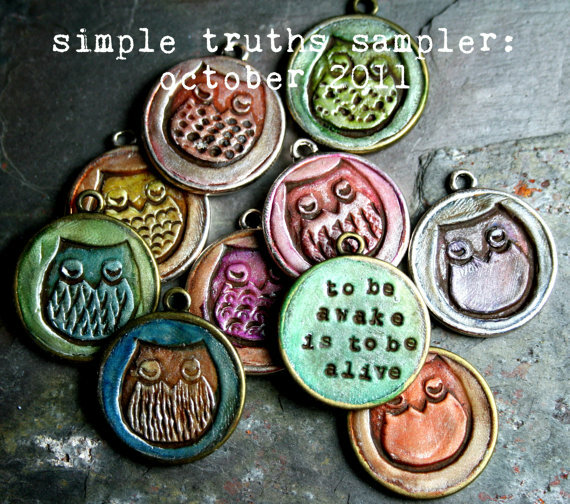 I am practicing this with my 'simple truths' sampler club with a limit of 20 participants in any one month and the designs are exclusive to the club (meaning that I won't make another one for someone that sees it, sorry! But each month is pretty special, so the members tell me ;-). ﻿﻿2. 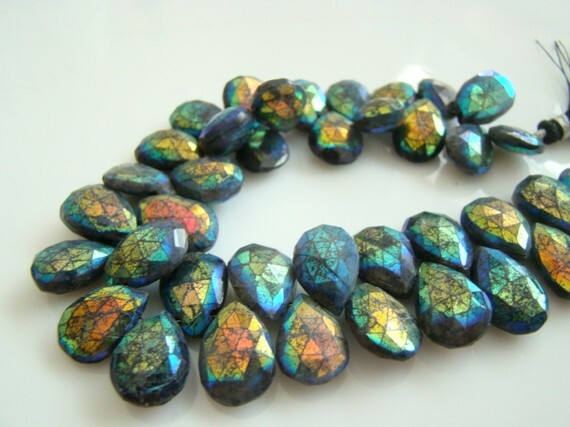 Give it a Name: Adding a moniker that is more than just "labradorite and pearl necklace" (which is totally fine if you do that) to something that evokes a feeling, a place, a mysterious aura can add an artful sense to your designs. (This is just my opinion, and I know that there will be many who disagree with me!) Not to say that a very literal name isn't a good thing - I know that it helps for people searching for just that right "labradorite and pearl necklace" online - but I personally find it a bit boring. Miss Lorelei is a whiz at picking intriguing names for her pieces that help people feel a connection to them other than just because they have a certain color or style. I would say the same can apply to art beads. 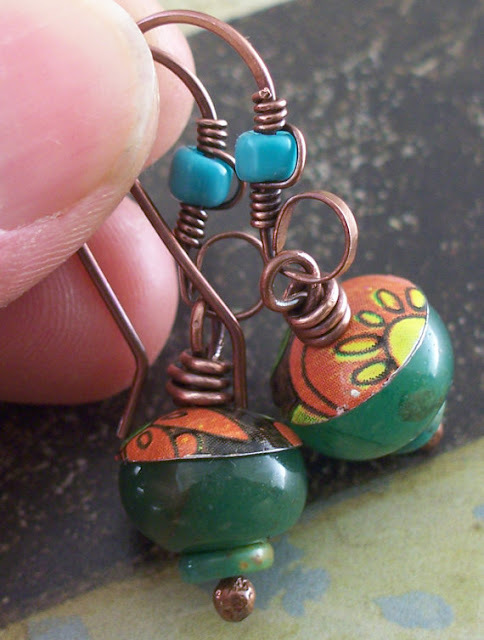 I love knowing that the art beads I buy are created from an inspiration, like a painting or a walk in the woods, rather than just seeing "brown and green ceramic beads." Same is true of finished jewelry.﻿﻿﻿ My clients tell me that it is the story that I have brought to a piece that helps them connect, and a name is one way to do that. 4. Buy the highest quality you can afford: That was advice that I got early on. I used to cringe at paying more than $10 total for a strand of gemstones. And then I recall the strand of stones that I bought that was $60. That was a breakthrough for me. It may have physically hurt me to write that check. But I look back and find that they were well worth it. And don't even get me started on how I used to view art beads... until I broke the bank and paid $35 for my first glass bead (which I surprisingly STILL have in my collection)! Now I have beads in my collection that I paid well over $100! But they are mini-masterpieces and worth every penny. You absolutely get what you pay for in quality. So buy the best that you can. That doesn't mean that every piece has to be filled with expensive components. I have a love affair of all things Czech glass and that is pretty reasonable, but just know that the supplies you choose will make all the difference in your work. You can add in that art bead with a few gemstones and then round it out with lesser priced items that are still high quality to ensure that your designs don't break your bank nor the client's budget. That doesn't mean that there aren't quality supplies out there for less, there absolutely are, but don't be afraid of that pricey strand. You may save it up for one special wow-factor piece (like this strand above I have been hoarding for a year now! ), or you may dole it out a bead at a time to liven up those things that are not as pricey, but it will be worth it. 5. Perfect your techniques: I remember when I started out that I was in awe of people who did wrapped loops when I could barely master a simple wrapped loop with any uniformity. I thought that they must have gone to Loop Wrapping School or had some special tool or skill set that I didn't have. Nope. I just needed to spend hours making hundreds of loops to make them perfect. I made a charm bracelet with healing gemstones for a friend going through breast cancer and brain tumors. It was the first piece that I had a clear vision, that I knew exactly how it would look, and my vision demanded that I wrap each of those 100+ dangles to the chain without using jump rings. By the end I truly knew how to make a perfect wrapped loop (and a messy one as well)! The point is that no matter what skill that you see others doing that you would like to incorporate into your jewelry designs... practice, practice, practice! 6. 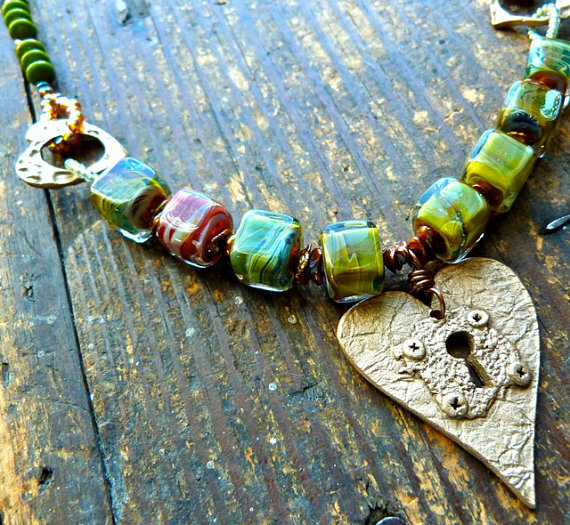 Use handmade findings: There are so many more options out there for findings than there once were. Although I still use mass produced findings, like clasps and headpins and earring wires, I know that to elevate my jewelry to the level of art, the more handmade findings I can use, the better. One of my goals is to one day make as much of the findings I can, but until that day comes (and it may never come at this rate), I know that there are so many awesome artists out there who make handmade findings I can use like these lovely little clasps that I just received from the talented Melinda Orr of Orrtec on Etsy or the lovely ear wires from Atlantis Glass on Etsy. And if you can't afford to use all handmade, don't forget that you can embellish purchased supplies to up the wow factor and make it more unique! 7. Never stop learning: Artists are always pushing their creative limits. They try new colorways, they innovate new techniques. They are not content to sit back on their previous accomplishments and hope that will keep momentum going. Of course we all get in creative ruts from time to time, but the best way I know how to dig myself out of that ditch is to take a class from another artist. Each year I set aside time and money to buy new books and magazines to keep sparking new ideas. But I also put a high value on face-to-case classes learning techniques from artists I admire. It is more than just getting to the heart of a technique, it is about soaking up all that this other creative being has to offer. I have taken classes from Susan Lenart Kazmer, Tracy Stanley, Sherri Haab, Kay Rashka and others including the incomparable Stephanie Lee last year at ArtBliss. 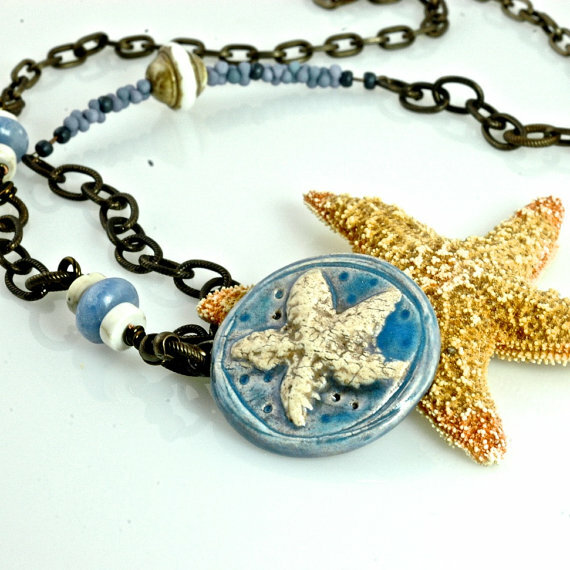 This summer I am so excited to get to meet Barbara Lewis at the Bead & Button show and Richard Salley at the Valley Ridge Art Studio. I wonder what new horizons will open up to me when I learn from these Masters! If you can't get to a venue to personally meet them, try some of the awesome online eclasses or books. 8. Display your work as art: I recently attended a show that I was part of where there were a lot of other jewelry artists. It was clear to me those that really took this their art seriously. They had artistic and beautiful displays that were elevated on pedestals and arranged in a manner that made it easy to look at their work. Their displays were not overloaded with things, they weren't afraid to edit themselves. And their displays totally reflected their design sense. I am sure that you have been to a craft show where all the jewelry at a booth seems to be thrown in the middle of a table. It is not easy to see the beauty in that sort of display and the artistry gets lost even if it might be there. Choose displays that accurately reflect your style but that is elegant and understated. Think in terms of retail stores and how they do things or an art gallery. No one goes to a cluttered museum! It is okay to be selective in your display - you can always bring out more later! I have a pin board on Pinterest where I add all sorts of display ideas I would like to try in a style that suits me. You are invited to follow along with me and perhaps start your own pin board with ideas that suit you. I look at cooking catalogs and gardening websites for cool wrought iron displays, vintage sites for old pieces that need new life, and DIY sites for things that I can make with what I have on hand. Patty Gasparino has been shaing some of her creative repurposed displays, check it out! 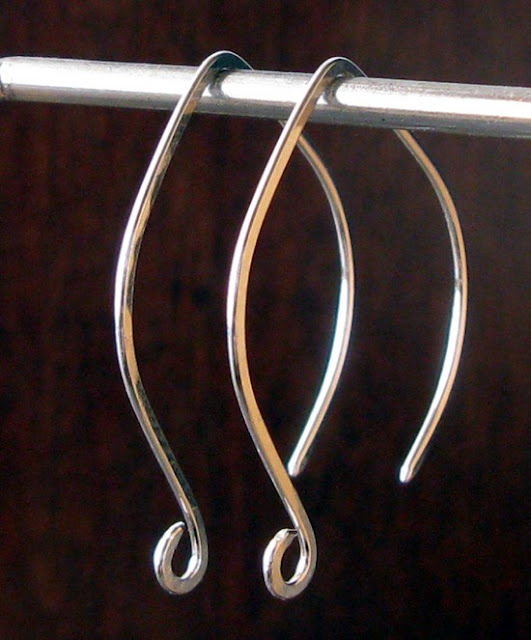 Make your display accurately reflect the style of your jewelry and you will get rave reviews! How about you? What other ideas can you add to this list of ways to elevate yourself from maker of pretty things to Artist with a capitol 'A'? Erin: This one of the best posts I have read on how to build success. I like that it's short yet comprehensive. I especially love all the display ideas. I will be back to really reveiw those in depth. I think my biggest struggle is defining my style. I have such eclectic tastes. 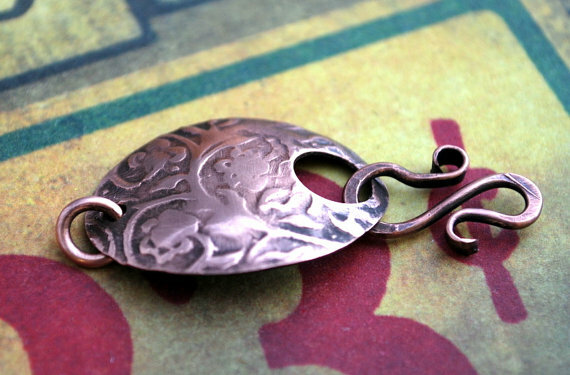 Love vintage, love contemporary, love funky,love grunge and steampunk. It's reflected in my bead supplies and jewlery. It absolutely thrills me as an artist to create in all these styles but I am assessing whether this hurts or helps me as a business trying to find an audience. Perhaps you have some comments on that. I love this post! It has many good ideas and reminders! Great ideas! The one I'm working on most is the story aspect. I have a concept in my head for the story for nearly every piece I make... but I'm afraid it sounds silly, so I probably don't write it convincingly. I'm going to take some time this weekend and really commit to my stories and rewrite them. I also like the idea of limited editions! The natural way of gemstones makes that easy for my beaded earrings, but I hadn't thought of that for my tatted jewelry. Thanks for the great ideas! Its funny, I called myself an artist for the first time about a week ago. It did change my perspective. People are always telling me how amazing my work is but I usually think well Lorelei Eurto is amazing and I'm no where near that successful. It's nice to acknowledge personal growth and success even if it's just mini success. Erin, what a great post! You said it all so perfectly. 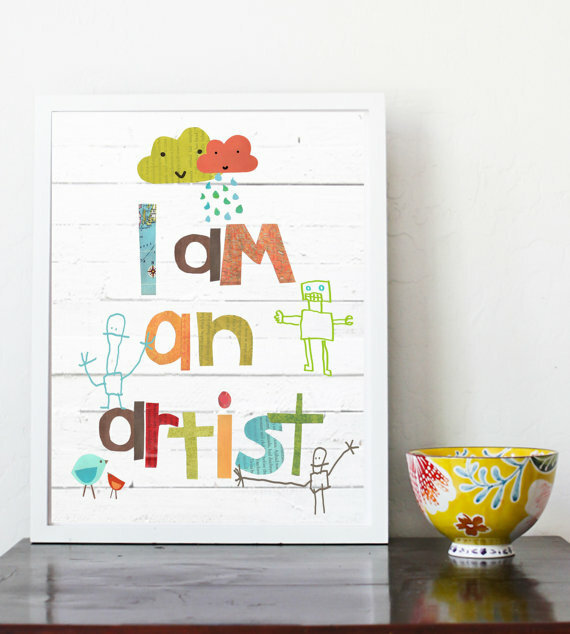 Declaring yourself an artist is the most difficult thing to do. You have to believe in yourself. I'm getting there,...... slowly but surely. What a wonderful post, Erin! I love the idea of having a G.G.A. I also call myself an artisan jewelry designer. For some reason that title is more comfortable for me than "artist". Miss Erin, Great post. I always feel inspired by what you write. You are so good at giving links to add to the story. I cringe thinking of my early work and how much I sold. Hope it didn't fall apart. Yes Lorelei is great at naming here pieces. That comes to me sometimes and sometimes I struggle with it. Thank you for including me as well. I try hard to use quality artisan bead and components. It is difficult to keep the pricing competitive but I hear from my customers how much they appreciate what they receive so it is worth it. I hope to be know for the Artisan designs. Lots more in this post. Thanks for sharing. Love this post! Love you bunches too! Thanks so much for being the encouraging words to so many of us. oh yeah! # 9 is so damn hard... I'm still working on it. some days I feel it more than others. Erin this is a great post. I feel like I have been wandering around, trying on styles and am just now finding my niche. I use Artisan as well & love the G.G.A.! Thank you for this very inspiring and informative post! I agree with everything and all I'd like to add, is what I tell myself EVERY single day: JUST DO IT! It works EVERY time. Great post with lots of inspiring ideas. I have trouble adding a story to my jewelry descriptions because when I read other descriptions I just roll my ideas at how silly they sound. It's hard to write something that sounds interesting without being too flowerly. And then there's SEO to think about! It's something I'm going to work on. Thanks again. 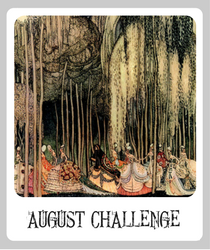 Ack I thought I already commented - Great post and thank You so much for including me! I really like having a dedicated space - even just a desk or table where you can just sit and create and find your supplies will make you feel more professional! 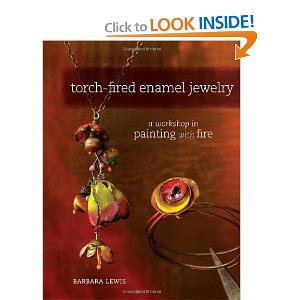 Hi Erin, I love Barbara Lewis's enameling book. Awesome Ideas here, this is so cool to see that!